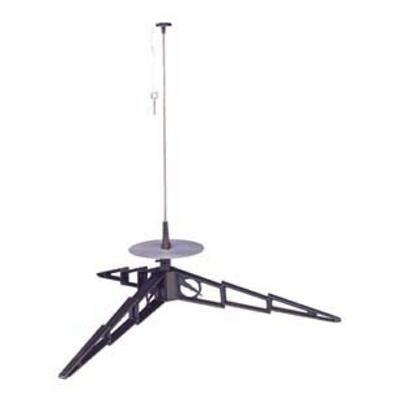 Model Rocket Launch Pad that can use 1/8" or 3/16" rods. Comes complete with blast deflector and standoff, two-piece 1/8 inch launch rod, safety cap and key. Porta-Pad II can accommodate a 3/16 launch rod (not included). Made by Estes.